Samhain: the precursor to Halloween? "Samhain" in Irish; "Samhuinn" or Samhainnin in Scottish Gaelic. Both mean "summer's end." "Nos Galan Gaeaf" In Welsh which means "winter’s eve." A word in Norse that translates as the "winter nights." Unfortunately, at the time that Irish observed Samhain, and left no documentaton about their practices. Most of the information about them came from non-Celtic sources long afterwards. 11 Some have speculated that Celts believed that the veil between our world and the spirit world is at its thinnest at this time of the year. Opportunities to communicate with the dead were at their maximum. When a family ate their evening meal, they might set a place for a relative who had died, in the hope that this would facilitate their appearance. But the accuracy of this information remains somewhat shakey. There is evidence that this time of celebration has been observed since neolithic times -- 4000 to 2500 BCE. Some passage tombs created during that era were aligned to the direction of the sunrise on this day of the year. The CRI statement is similar to speculations by other conservative Christian sources, and may totally inaccurate. Conservative Christians have often connected Halloween with their concept of Satan roaming the earth seeking people that he can destroy. Many Christians have actively opposed the observation of Halloween. With conflict between and among religions, accuracy and truth often is in very short supply. Wicca is a Neo-pagan, Earth centered religion. It is a modern attempted reconstruction of ancient Celtic beliefs. Wiccans celebrate eight seasonal days of celebration each year. Four minor Sabbats occur on the two solstices and the two equinoxes at the start of each of the four seasons. Four major Sabbats occur between a solstice and an equinox. Of the major Sabbats, Samhain is considered the most important. Some Neo-pagans celebrate it on the day that is half way between the autumn equinox and the winter solstice. This is typically about NOV-05 ~+mn~ a couple of days. Still others celebrate it at the time of the full moon closest to the midway point between the equinox and solstice, which varies ~+mn~ a couple of weeks from year to year. The Roman Catholic Church had a policy many centuries ago of recycling and adopting ancient Pagan celebrations and locations. The Church embraced Samhain and refer to it as All Hallow's Eve. They retained the date as OCT-31. It is followed on NOV-01 as All Saints' Day which is also known as All Hallows, Day of All the Saints, Feast of All Saints, or Solemnity of All Saints. "In the 12th century, holy days of obligation across Europe involved town criers dressed all in black, ringing mournful bells and calling on Christians to remember the poor souls of the dead. Special 'soul cakes' would be baked and shared. This custom of 'souling' was shared in England, Germany, Belgium, Austria and Italy, and is thought to be the early precursor of trick-or-treating. The Catholic Church, Anglican Communion, and a few other Protestant denominations also observe a third day at this time of year. It is All Souls Day on NOV-02. It is a time to honor the dead. Eastern Orthodox Churches observe multiple All Souls' Days each year. Wihin the Catholic Church, many -- perhaps most -- people are believed to be sent to Purgatory temporarily after death where they are "cleansed and perfected" before they are allowed into Heaven. This is generally regarded as a type of "Hell-light" where inhabitants are tortured with fire, until they are purified. The Church teaches that prayers by the living can speed up the transition of dead people into Heaven. A logical result of this belief is that famous people and people with large families will spend less time in Purgatory for the same level of sin than relatively unknown people and people with small or unobserving families. Belief in Purgatory is considered a heresy by most Protestant denominations. Purgatory is considered both an immoral concept and non-existent by most secularists. The secular world has embraced Celtic Sabbat of Samhain and refers to it as Halloween -- a shortened form of "All Hallows' Evening." It is a time for home owners to decorate their dwelling with themes related to death, evil witches, tombstones, and other scary items. It is a time for children to shake down people in their neighborhood for candy and other treats. It has become a major, yearly, child-oriented celebration throughout North America. "In the 20th century it developed into a national festivity for Americans, retaining the old custom of dressing up to mock powers of dark, cold and death, and a transforming one by which poor people went door to door to beg for food for a feast of their own, morphing again into the children’s one of trick or treat. By the 1980s this was causing some American evangelical Christians to condemn the festival as a glorification of the powers of evil (thus missing all its historical associations), and both the celebrations and condemnations have spilled over to Britain. Michael Warnke, in his book "Schemes of Satan"wrote that the Druids sacrificed humans at Samhain to appease the great god Samhain. They allegedly threw victims into raging fires. Bill Schnoebeln said that Samhain, which he wrote as "Saman," referred to the Celtic god of the dead. It seems that there is no Druidic or Celtic god called Samhain, or by any similar name. 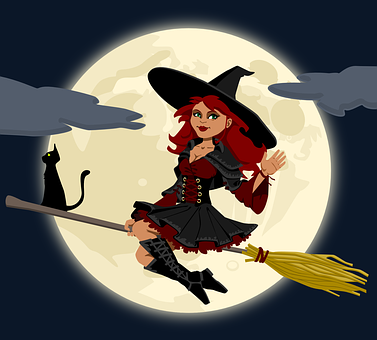 There have been numerous attacks by religious conservatives intended to discredit Wicca and other Neo-pagan religions by using the "Great God Samhain" myth. More details. Kerr Cuhulain, "Pagan Religions: A handbook for diversity training." Acorn Guild Press; 4th edition (2011). Read reviews or order this book safely from Amazon.com online book store Amazon customers give this book a rating of 4.5 stars out of 5. The author is a Canadian -- a former police detective who was involved in anti defamation activism and hate crimes investigation for the Pagan community for nearly 20 years. "What holidays do Satanists celebrate," Church of Satan, 1999-2017, at: http://www.churchofsatan.com/"